Bus travel in New Zealand. There is no lack of buses in New Zealand. It is the most used method of public transportation, especially local buses, as they are often the only public transportation! Coaches are also a great way to travel around the country too, by being a cheaper than other transport options. Plus, the journey is made enjoyable by the sensational scenery you get to pass through. 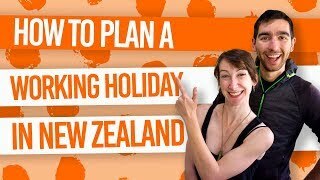 Whether you want to incorporate bus travel into your backpacking adventure or just need a way to commute to work on your working holiday, this article will give you an outline of what are the bus networks in New Zealand, including coach networks, hop-on hop-off, bus tours and city buses. What are the different types of bus networks in New Zealand? The towns and cities of New Zealand are connected very well by the national coach network. This is a cost-effective way of getting from one place to another. Passes are available to cover the whole country, or just pay one-off fares for a single trip. Remember to book in advance for cheaper fares! These New Zealand bus services are pretty easy to use: once you’re booked on the bus, just turn up to the bus stop about 15 minutes before departure. Give the driver your name and get on the bus. On long journeys, there will be 10 to 30-minute toilet or food breaks. Your driver usually gives some commentary on the locations you are passing through as well. 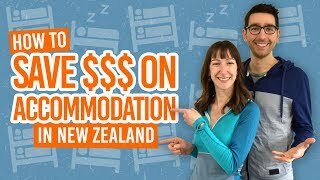 The two national bus company taking you all over New Zealand are InterCity and Skip Bus that offers limited services but at highly discounted prices. To see what to expect from these bus journeys, check out: 10 Reasons Why Bus Travel is Actually Awesome in New Zealand. If taking multiple trips on the coach buses, it’s worth checking out the multi-trip passes available, such as InterCity’s FlexiPass. Designed specially for travellers and backpackers, the hop on, hop off buses are more than just getting you from A to B. These are a guided bus network taking travellers around New Zealand, while passengers can choose to “hop off” the bus anywhere along the route. Then the passenger can choose one of the next buses to “hop on” to continue their journey. Each bus has a driver guide who will give commentary along the way, make stops in noteworthy places for walks and photos, and organise bookings for activities and hostel accommodation. The New Zealand hop on, hop off companies are Kiwi Experience, Stray and Flying Kiwi. Flying Kiwi work slightly differently as they also include meals and accommodation. For more information on how to use these hop-on hop-off buses, check out How Does the Hop-on Hop-off Bus Network in New Zealand Work? Stopping somewhere for a while to work? Need to reach an outer-city suburb? Most likely, you’ll need to take one of the local buses. There are efficient bus networks within cities and larger towns. Some of these places have travel cards to get discounts on the fares, so grab one of these if you are using the bus a lot. For example, the AT HOP card in Auckland, the Snapper card in Wellington, the Metrocard in Christchurch, and the Connectabus card in Queenstown. Otherwise, you will need to use cash to pay the fare to the bus driver as you get on the bus (one of the only times you need cash in New Zealand). Remember to signal the bus driver, as they do not automatically stop at each bus stop. For those “harder to reach places” you can take a guided coach tour. Your driver is your tour guide and they will have your itinerary planned for you. Just sit back, relax and just accept what is happening! The most popular guided coach tours are to Cape Reinga, the very north of the North Island, and Milford Sound, the “8th Wonder of the World” in the South Island. There’s also city bus tours in New Zealand’s largest cities. Take multi-day bus tours either within a small area of New Zealand or over the whole of New Zealand! These trips are often all-inclusive with the tour, accommodation and meals included in the price. What’s included can differ from bus company to bus company, so be sure to compare before you book. Expect a more structured tour than what you get on the hop on, hop off bus. Driver guides will tell you fun facts about each area you drive through on the tour, while stopping off for activities along the way. There are extra activities to purchase, which can be booked on the road by your driver guide. Companies that offer this experience are: Flying Kiwi, Stray Journeys, Haka Tours, Contiki, G Adventures, Topdeck and more! More ways to travel in New Zealand. Backpacking involves a bit of travelling, right? So here’s a few more links to help you on your way. Aren’t we nice!